SHOPPING TIP: Both types of lentils are available at large supermarkets. Looks good. Ill try it! You need to soak the dried dahl overnight or your simmering away for ages. I also add a blob of tomato puree. It’s a favourite of ours. Serves about 6 people. I have honestly never had to soak the lentils. Use yellow split peas or if poss channa daal. It takes me 45 minutes every time. You just need to make sure you bring the liquid to the boil and then let it bubble away on a medium to high heat. It shouldn’t be simmering. It should be boiling. There’s a lot of liquid to reduce. Good luck. Oooh thanks Aasmah. 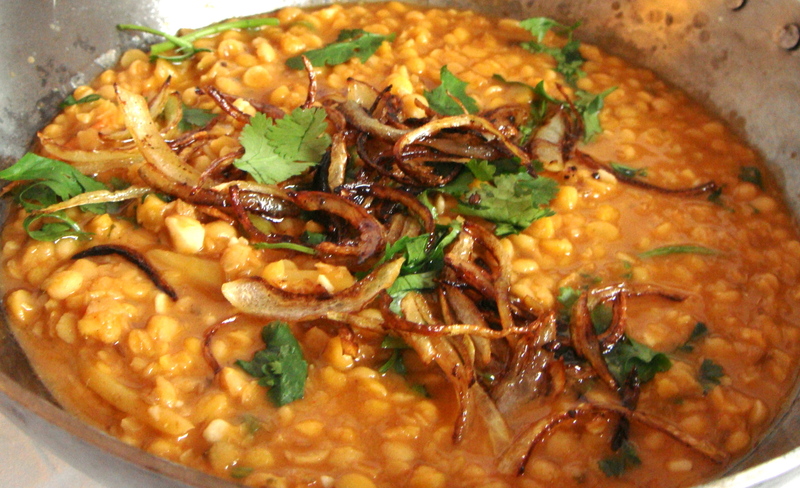 After reading of your blog in the Guardian I just made this daal. I made it years ago but it wasn’t ever very good, but this one is really great and so easy! Zingy mouth!